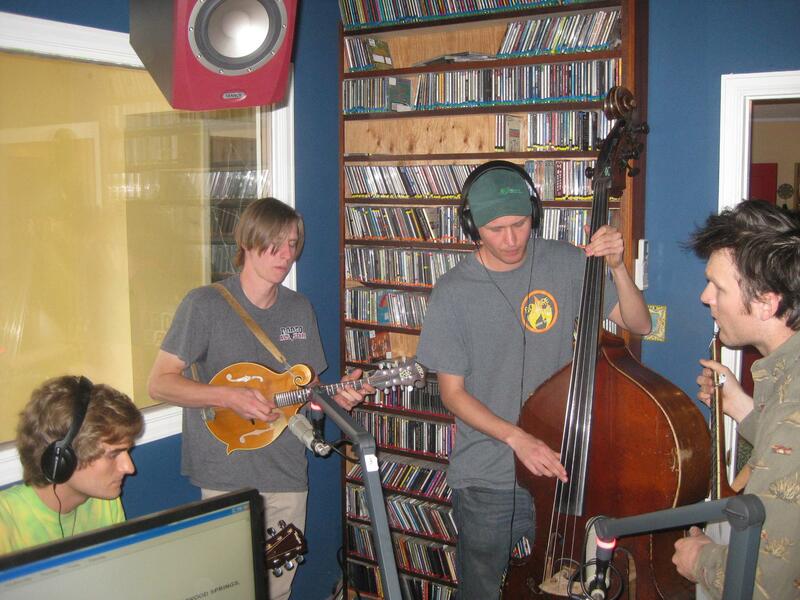 Parker Whittington on mandolin, Harris Jackson on guitar, Mac Benning on the banjo and Ashton Taufer on bass comprise a promising new string band from Glenwood Springs called Lookout Mountain Showdown. They dropped by Express Yourself to play a few original tunes before their gig tonight for First Friday at Phat Thai. They played Blue Sky, Ashton's Tune and Romania. We hope to hear more from this talented new band.